Will Dental Insurance Cover My Night Guard? 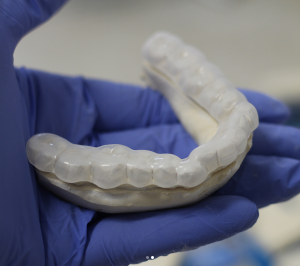 Has your dentist suggested you wear a dental night guard because you are grinding or clenching your teeth? You may initially balk at the dental office price but you have good dental insurance and your custom night guard is surely covered right? Many people assume that all dental insurance would likely cover their night guard for teeth grinding. Especially since it has been recommended by the dentist! Surprisingly enough, oftentimes dental insurance will not cover any costs or they offer to cover a large or small percentage. 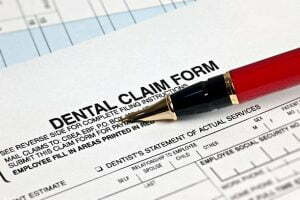 If your dental insurance has decided not to cover any part, it could be because insurance companies argue that this condition is caused by preexisting conditions that have been slowly damaging your teeth and by the time it gets the attention of a dentist the damage has been done. But this is simply untrue. 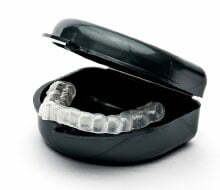 The damage can worsen (to the point of very costly dental repairs down the road) if a dental night guard is not worn as a preventative measure. Anyone who has dealt with subpar dental insurance coverage can attest- what and how much they cover can be a finicky issue. Our teeth are one of the most important body parts because they assist in two major functions of the body; chewing and talking. Taking care of the teeth is not just an option but a priority. So when a certain problem that could potentially put the health of your beloved teeth at risk occurs, it would be wise do your best to prevent damages before long term problems occur as the cost for restorative dental work can be thousands of dollars. Teeth grinding leads to the destruction of ones’ dental anatomy because of the continuous clenching and grinding of the teeth. People who suffer from this problem usually experience it at night when sleeping. Once you discover this, you need to visit a dentist who will most likely prescribe a nigh guard for you. What Is a Dental Night Guard? Before we go further, let us first find out what a night guard is. In simple terms, a dental night guard or bite guard is a small appliance made of either soft, hybrid, or hard material whose main function is to protect the teeth against clenching and grinding which may cause permanent damage to dental anatomy and surrounding components (like the gums and jaw muscles). This tooth grinding and clenching condition is also known as bruxism. It can be caused by stress and anxiety, use of psychoactive substances or abnormal sleeping disorders which push one to grind or clench their teeth together as a way of stress relief. Why Won’t My Dental Insurance Cover My Night Guard? What Are My Options for Obtaining a Night Guard? Are there other options available? Yes! You can absolutely skip the dentist and purchase online with few exceptions. If your bruxism is a result of other conditions like misaligned teeth you will need to go through your dentist to get a more complex night guard made that will actually move your jaw back into postition. Most insurance will typically cover the cost of treatment to correct the misaligned jaw. If you have braces you will need to have a dentist fabricate your custom appliance. If you simply need a non-complex, non-specific night guard you can purchase online. This at-home process allows you purchase the night guard kit (impression kit includes plastic tray(s) + dental putty to take your own dental impression). 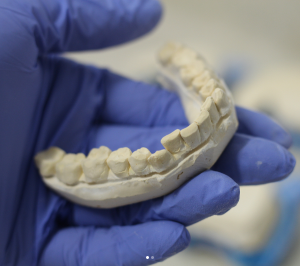 You would then mail your dental impression in to the lab and have a custom night guard made for you. 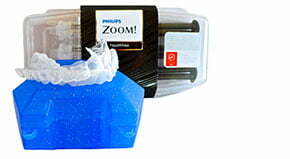 Sentinel Mouthguard Co. offers this online solution at a fraction of the cost. Pricing ranges from $98-$130 (compared to $600+ in dental offices). The material used is Proform by Keystone Industries which is a dentist-grade night guard material available in splint (hard) version or soft. The material is BPA, latex and silicon free. The night guards are made using a Drufomat Scan which is equal to or superior than most dental office machines/equipment. 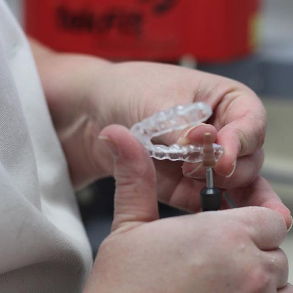 Trained lab technicians will construct, trim and polish the custom night guard. A stone mold check is performed several times throughout the process to ensure the best fit possible. This involves placing the newly constructed appliances onto the stone cast of your teeth and removing. The process is repeated until the night guard fits snug on the teeth but not too tight. Sentinel Mouthguard Co.
Crooked teeth? No problem. Sentinel Mouthguards are made to fit your existing dental anatomy. Whatever that may be! There is no sure fix or solution for stopping nighttime grinding and or jaw clenching. Stress seems to be the #1 reason or cause sited by dental professionals. Since curing this disorder is unfortunately not to be relied on, the best option would be to wear a night guard. This will alleviate the damages associated with teeth grinding or jaw clenching (including teeth wear/breakage, teeth flattening, headaches, jaw pain). How Can I Benefit Using My Insurance? Every dental insurance coverage varies in terms of the extent of services provided. There are those that provide full coverage for bruxism treatment. Some offer partial coverage. Some offer bruxism treatment coverage but not the night guard dental kits or lab fees while others do not make any payments on your behalf for any procedures in regards to bruxism. Some insurances that partially cover the cost of bruxism treatment will fully pay for the treatment of tempo-mandibular joint disorders also known as TMJ syndrome. It truly depends on which insurance provider you have and what their policy is. Pain is a side effect of bruxism. The symptoms also include headaches, jaw clicking, pain in the ears, jaw joint pain, sore and stiff jaw muscles as well as pain in the temple among others. Some individuals self medicate or drink alcohol to lessen their pain but pain pills and alcohol cal exacerbate the disorder. Let’s be clear: If you are grinding or clenching your teeth at night you should be wearing a well fitted, professionally made custom night guard to prevent further pain and damage. Is there anything I can do to just stop it all together? Another option to take hold of the situation and save your teeth is to look at the factors that are causing this condition like stress, anxiety and sleeping disorders. Before any cure is found for a disease, doctors will look at the root cause. Once you establish what is causing you to grind your teeth, you can explore ways of dealing with the main cause first rather than treating the problem that is birthed after. Ex: If your bruxism is caused by taking tea, coffee, smoking cigarettes and/or using other psychoactive substances, then the first option would be to address that. Your doctor can prescribe nicotine patches or recommend alternative drinks to indulge in that will eventually lead to a stop to the bruxism. If stress and anxiety are leading to the teeth clenching and grinding, then you should explore healthy lifestyle changes to relieve stress that is healthy. Once you find another place to channel your stress, you will give your teeth a break. Check to see if your dental insurance plan will cover the cost of your dental night guard. Also, many of our customers have used their HSA/FSA accounts to purchase the Sentinel Night Guard. You may need to provide them with a detailed Sentinel receipt as proof of medical purchase. If you cannot receive dental insurance benefits for your dental night guard don’t despair. There are less expensive options. Please avoid over the counter or store bought guards. These cheaply made, mass produced guards can sometimes cause more harm than good. It will be more costly if you decide to have one that is custom made to fit your dental formula perfectly but the perks will be beyond what you expected since it will fit perfectly. 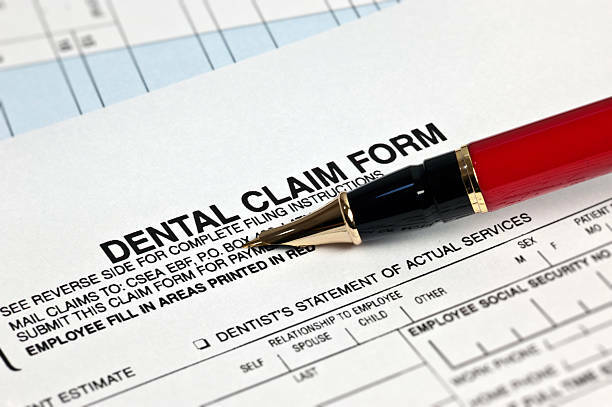 Do you have dental insurance stories? Please share below! We would love to feature your experience in our blog!